Marci Alborghetti has been writing only slightly longer than she's been reading. In seventh grade she received her first writing prize for a zany Halloween story. The prize? A five dollar gift certificate to a local bookstore. She was hooked. 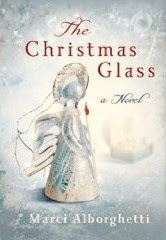 The Christmas Glass is her fourteenth book, and she is currently at work on a sequel as well as a non-fiction book about service. Some of her other books include: Prayer Power: How to Pray When You Think You Can’t, A Season in the South, and Twelve Strong Women of God. 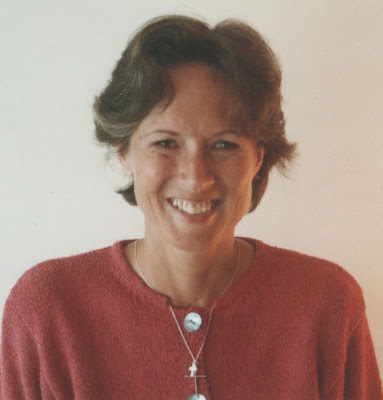 She and her husband, Charlie Duffy, live in New London, Connecticut, and the San Francisco Bay area. While in New London she facilitates the Saint James Literary Club. Sadly, I have not had a chance to even open this book, but hopefully I will take it with me over Christmas break! It looks like a fabulous Christmas read!